Ringnews24.comRingnews24.com: What was your main inspiration in getting involved in boxing? Ringnews24.com: You are currently (5-1), what are your thoughts on how your career is progressing so far? Ringnews24.com: Do you always stay in shape between fights? “Yeah, I’m never out of shape, always ticking over. If I’ve got a week off it’ll be very rare that I go up in weight much, probably go up to 5lbs over, tops. I’m always in shape. I don’t want to be training just to lose weight, I want to be focused on a game plan and tactics. I actually do things a little differently, I always train at my fighting weight around 175-177lbs, I don’t like carrying the extra weight or dropping too much before weigh in. I even like a same day weigh in, probably the only boxer in the world who does! Ringnews24.com: Who is the toughest opponent you have fought to date? “Toughest opponent would have to be my loss to Kirk Garvey, I knew what we were up against because he had double the amateur and pro fights than me, so we knew that would count for something, but I wasn’t a million miles out and the judges had me up by one round, I think. That type of fighter and that experience can only bring me on, I definitely learnt a lot from that fight, I dropped him in the first-round and all that adrenaline surge fired me up and I went to take him out because he was on unsteady legs but he weathered storm, and I went back to corner worse off than him because I had emptied the tank, which wasn’t in the game plan. I should have set him up behind the jab and not gone looking for it, when you go looking you never do find it, that’s what I find. The shot that normally hurts them is the one that surprises even yourself most of the time. Ringnews24.com: What is the toughest part about being a professional boxer? Ringnews24.com: What would you say is your biggest win to date? Ringnews24.com: Who would you like to fight in the near future? Ringnews24.com: Are there any plans to fight for any titles soon? “I’ve got the Southern Area title in my sights. I’ll obviously go for the English or any other titles that come up in the meantime, but I’ve had the Southern Area in my sights for the last year or more. Both my uncles won the Southern Area, so I want it as well. Ringnews24.com: What are your dreams to achieve in the sport? Ringnews24.com: Where would your dream venue be? Ringnews24.com: What do you want to be remembered by when you eventually retire? Ringnews24.com: If you could fight any boxer from history, dead or alive, who would you want to fight? “Tough one, got to think of someone who’s light-heavy, so I suppose it’s got to be Roy Jones Jr. He’s a legend and could learn a lot from him. I met him at the Spit and Sawdust Gym in Kingston at a charity event. I always used to watch his old boxing DVD’s, he’s a legend to win that amount of titles at different weights. Ringnews24.com: What is going on with your boxing career now – can you tell readers when, where and against whom you will be fighting next? 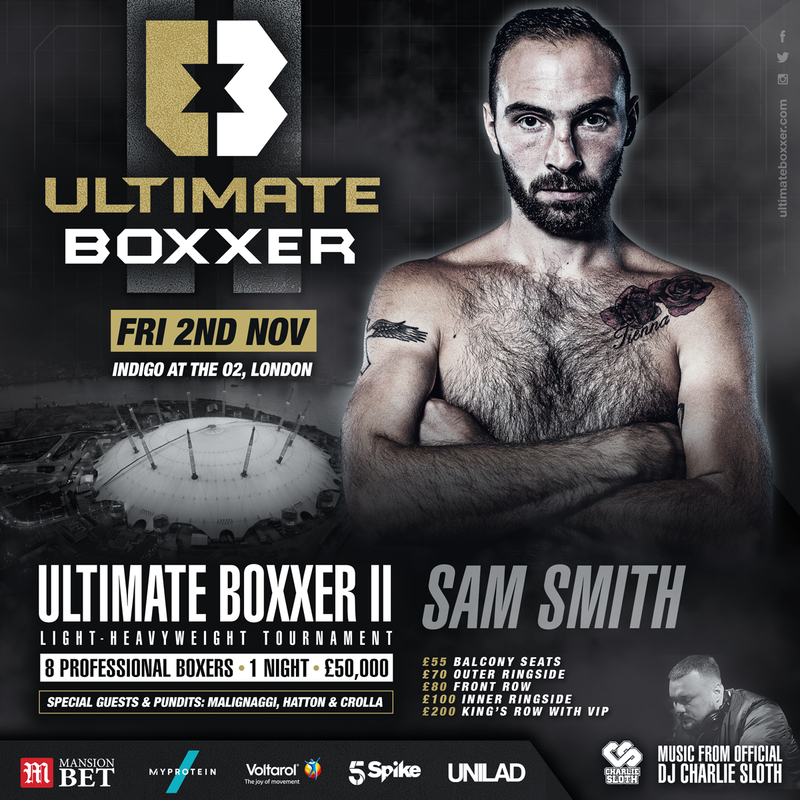 Ultimate Boxxer II takes place on November 2 at The Indigo at The O2 and features former English light-heavyweight champion Joel McIntyre (17-2); seven-time national amateur champion John ‘Johnboy’ McCallum (11-1), from Edinburgh; highly-touted, unbeaten 6ft 6in star Shakan Pitters (7-0), 29 from Birmingham; courageous Dec ‘Kyd Nytro’ Spelman (12-1) who returns to the biggest stage yet since his tragic fight with the late Scott Westgarth; Southern Area title contender Jordan Joseph (7-2-1); British Challenge belt champion ‘Dazzling’ Darrel Church, (7-2-1); Frimley’s fledgling pro Sam Horsfall (2-0); and Paddy Fitzpatrick’s protégé ‘Sniper’ Sam Smith (5-1). Love Island’s Idris Virgo (2-0) appears on the undercard as he takes part in his first appearance in the ring since his stint on TV’s most popular reality TV show. The life-changing £50k prize money and the newest honour in boxing – the sought-after golden robe bestowed personally by Ricky Hatton, await the winner of the ground-breaking new tournament that mixes sport with youth culture and entertainment, with Britain’s biggest DJ Charlie Sloth in attendance alongside many other VIP guests. Founded on a desire to make the professional game more accessible for boxers and fans alike, Ultimate Boxxer II will be shown on multiple platforms for all generations, with live coverage on Facebook via UNILAD from 8.15pm, before going live on Freeview on Channel 5Spike from 10pm.